Indian women simply love to dress up beautifully for special occasions. 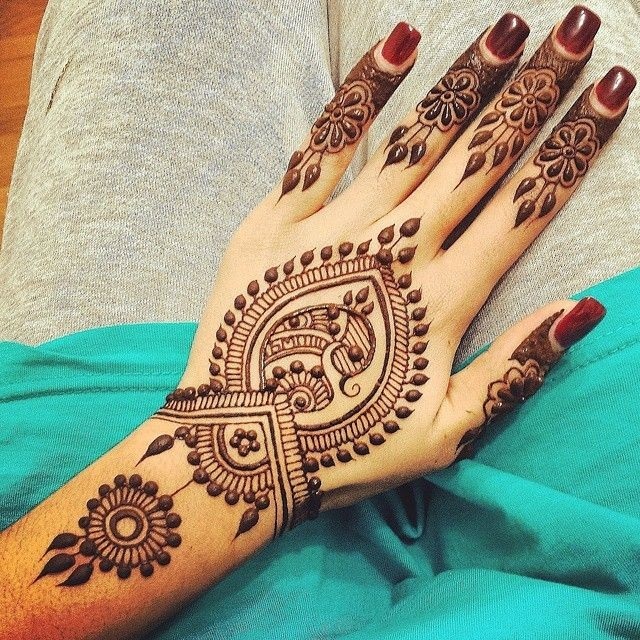 Over hundreds of years, Mehndi has been an important part of make-up for Indian women. The best thing about this fashion is that it never goes out of style and even the modern women of today cannot simply resist the creative mehendi designs. 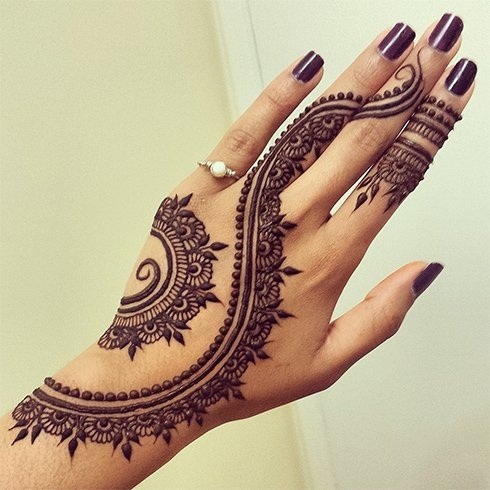 Mehendi fashion has also become quite popular in the western countries as well, where fashionable ladies even consider it as a kind of ornamentation on their body. Whenever there is a special occasion at our homes, it is customary to invite Mehendi experts to create attractive designs. Women simply love to get together and have good fun, while the experts work on them. It enhances the celebration environment in a way like nothing else does. The Moroccan design has come from the middle east. This design includes different kinds of rectangles, squares and triangles merged together. Experts also draw flowery patterns around these geometric figures to enhance the overall pattern. It is one of the best designs used today as you can apply it anywhere. The Bangla style has become popular these days. 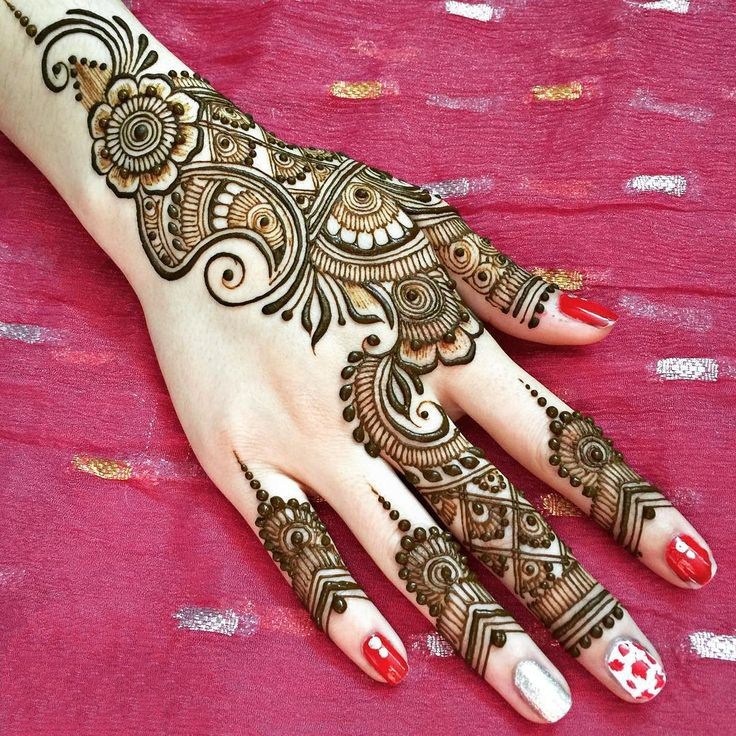 It includes designing an Indian or Arabic design around the wrist to give a completely different look to your hand. You can also use colourful stones if you want to add some sparks to the overall design. 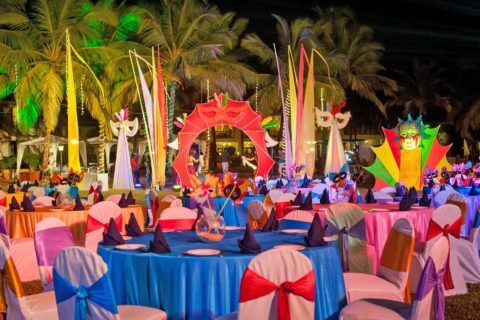 This design is usually used for destination weddings or cocktail parties. You can use a lacy design on the back of your hand to create a modern and unique pattern. This design can give an illusion that you are wearing a lace glove. You can use either black or brown colour. Furthermore, the length can be till your fingers, wrist or arm depending on your comfort and style. If you are looking for a design that can suit your everyday look, then you can choose Minimalist design pattern. A minimalist design is an easy and simple design pattern and is usually not too big or bold. You can design it on your wrist, back or even on your fingers. It is best if you want to go for a subtle look. If you are bored of getting designs on your feet or hands, then you can try design patterns on the back of your body. You can go for a big intricate design or a simple small design on your back. It is applied generally when women wear backless top, kurta or blouse. 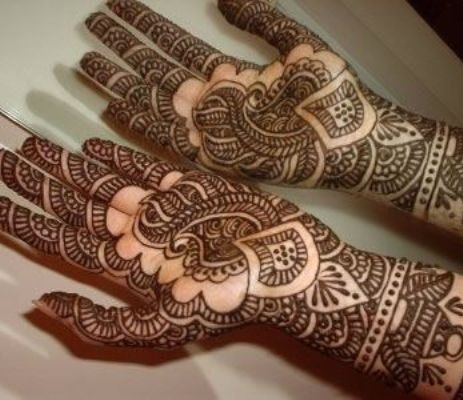 The diamond mehndi outlook is usually applied by women on occasions like engagement ceremony. It can use multiple features like half shaped leaves, little dots, triangles and diamond shape to represent a classy yet subtle look. 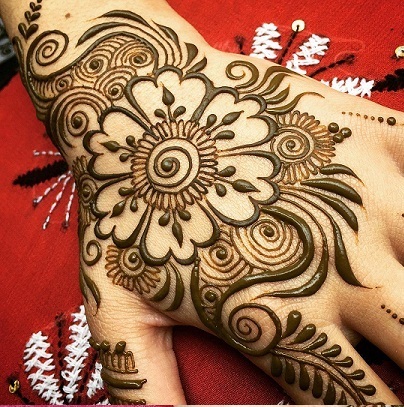 Mehndi is used by women on various religious and cultural events. 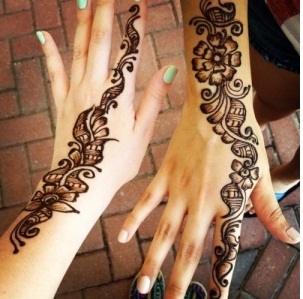 There are different mehndi styles and pattern to choose from. 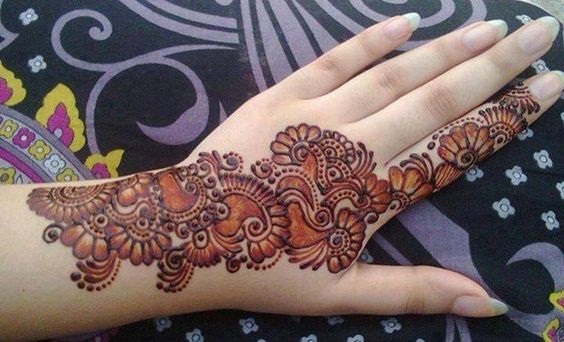 You can also consult your mehndi artist to know, which design will suit you the best.